As many as 6 Indira Canteens would be opened in Belagavi by December, this was discussed at a video conference meet at the DC office. The City corporation has been asked to find out land where the same can be started and they will give the report to the DC within a weeks time. The areas shortlisted are APMC road, Khanapur road, College road, Kanbargi road and other places. 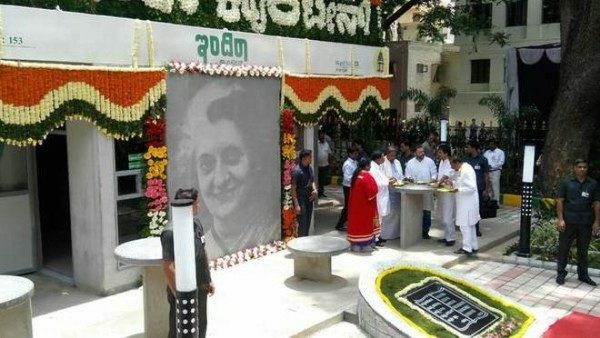 ‘Indira Canteen’, is aimed at serving the poor at subsidised rates. The fast-food joints will serve breakfast, lunch, and dinners to the local people at a highly subsidized price. Normally the current ones in operation have a fixed menu for each day for breakfast, Lunch and dinner and they work on fixed timings Breakfast will be served only from 07:30 AM to 09:30AM, Lunch will be served only from 12:30PM to 03:00 PM and Dinner from 07:30PM to 09:00PM. Due u think that it really reaches to poor people only? It should be purely for poor people atleast they will get food at low price…. Lots of people are homeless small kids,youngesters,old people left by their children…. Govt has got waste lands which is not been used by any one… Why dont u start to construct a small houses and provide all poor people…. It looks like impossible for some ppl, but its possible ….. This is just a political stunt of the government. People require good roads, adequate supply of potable water and effective implementation of the existing schemes. Who is going to bear the subsidy? Ultimately it is the taxpayers. Once a Poor guy used to sell food for the poor for just Rs 10 at court compound , he was removed by the then DC.. How come DC will allow INDIRA CANTEEN..
Govt will do it or not is left on God..